In today’s business world, delivering good customer service is just a starting point. Customers know what good service looks like, and they expect it. 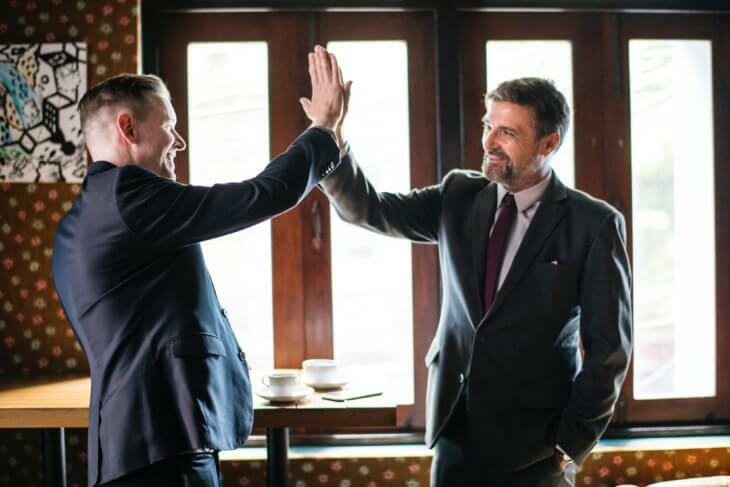 So, how do you get from that starting point to come out on top at the finish line – winning the prize of loyal customers and besting the competition? I’ve studied hundreds of companies and their business processes to discover the powerful way that some companies are setting themselves apart – in some cases, turning entire industries upside down. The secret to their success is convenience. The concept of being intentionally convenient can be a competitive business weapon. If you can find a way to make customers’ lives easier, you can draw them away from the competition, and maybe even change the way things are done in your entire industry. If you’re thinking you wouldn’t even know where to begin, I am here to help. My new book, The Convenience Revolution: How to Deliver a Customer Service Experience That Disrupts the Competition and Creates Fierce Loyalty, can help you create more convenience for your customers. The Convenience Revolution highlights dozens of companies that have found ways to make customers’ lives easier and by doing so, have disrupted their competition, and yes, in some cases, their entire industries. There are six Convenience Principles that I have identified that smart companies are using to set themselves apart. Customers are busy enough already; they don’t want to deal with companies that create more stress in their lives. Reducing friction means making sure things go smoothly throughout the customer experience, and it is the overriding principle – what convenience is really all about. Think about a convenience store; why are customers willing to pay more for items there when they could go to a grocery store, have more selection, and pay less? This brings out an important point: customers are willing to pay more for convenience. An example of a company built on the principle of reducing friction is Uber, a company that disrupted an entire industry. Need a ride? Chances are you no longer call a taxi. Simply open up the Uber app, input your destination, and get quick information about when your driver will arrive and how much your trip will cost. When you get to where you are going, you don’t need to worry about an exchange of currency; Uber charges the card you have on file. Their entire model is based on convenience. Self-service is more than just a do-it-yourself checkout lane at the grocery store; it also means having information readily available for the customer who has a question or problem. Where do they turn? Most will start by checking the company’s website, looking for answers on a Frequently Asked Questions (FAQ) page, or better yet, instructional videos that help them understand how to install or use a product. One of my favorite examples of in-store self-service is offered at Panera Bread. The restaurant chain provides kiosks at which customers order and pay for their meal. After placing the order, the customer takes a pager and has a seat at a table. Companies use a variety of technologies to make their customers’ lives easier, from online shopping options to apps that can keep you connected and enhance the customer experience. PayPal is an online banking solution through which people can pay for purchases, send money, or transfer funds from one bank account to another in an instant. It also offers a mobile card reader and other options for small business owners to easily accept credit card payments. Another of my favorite apps is called NoWait, which allows customers to add their name to a restaurant’s waiting list before arriving. If the wait is an hour, you can watch your name moving up the list and time your arrival so when you get to the restaurant, your table is waiting for you. You can subscribe to almost anything today – products, services, entertainment and more. Netflix disrupted the movie rental industry when it offered a subscription model that was easier than driving back and forth to the video store. Amazon, the leader in convenience, offers “Subscribe & Save” on thousands of products, offering customers a discounted price when they set up automatic deliveries of items they use regularly. Another type of subscription model is an annual maintenance contract. You no longer have to go to the hardware store to purchase items such as air conditioner or furnace filters every six months – you can simply have them delivered! When they arrive, the delivery also serves as a reminder to change them. With delivery, the customer doesn’t even have to leave home. Not only are products being delivered to customers’ homes and offices, but some service-based businesses have also begun offering mobile options. I recently had an experience in which convenience won me over, luring me from a company where I had been a loyal customer for more than 20 years. I stopped at a car dealership to look at a car that caught my eye while I was driving past. I did not intend to buy there, and I told the salesman that I would ultimately purchase from my local dealership. But he sold me on convenience. The care dealer said that anytime the car needed service – even a simple oil change – they would deliver a new car to my home to use until they returned mine. The delivery option was a great offer that sealed the deal. Are you available where and when your customers need you? Amazon and other online stores are always open. Walmarts are everywhere; in fact, 90 percent of U.S. residents live within 10 minutes of a Walmart. I’m not suggesting that every business has to be open around the clock, but think about your hours; now, think about the competition’s hours. Could you offer evening or weekend hours to be more accessible to your customers? My new book, The Convenience Revolution, can guide you and help you come up with ideas to create more convenience. Its official release date is October 2, but you can read it now. Go to www.BeConvenient.com to purchase today and you’ll get immediate access to the eBook. Then, on the official release date, you will be sent the hardback book. In the end, it’s quite simple. Customers want convenience. They want to do business with companies that make their lives easier – and who wouldn’t? Find a way (or multiple ways) to be more convenient for your customers, and you’ll soon overtake your competition — and maybe even become a thought leader in your industry! 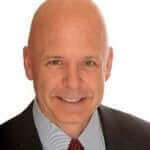 Shep Hyken is a customer service expert, professional speaker and New York Times bestselling business author. For information contact (314) 692-2200 or check out his website. Visit The Customer Focus™. Follow Shep on Twitter @Hyken.